Earn $19.19 in Rewards credit. Click to learn more. Keep your Di2 running like new. 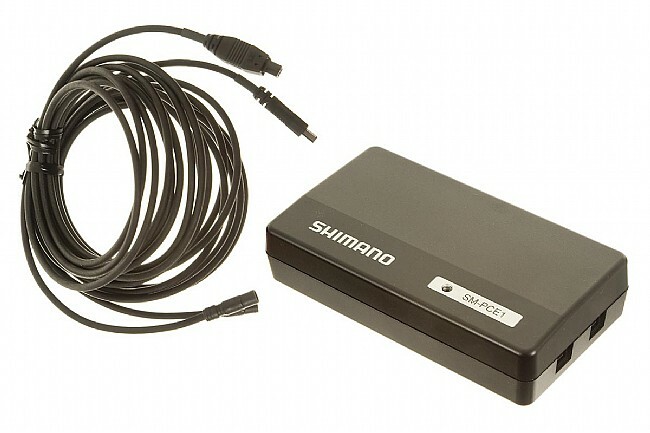 Shimano's SM-PCE1 unit connects your E-Tube Di2 System to your home computer, allowing you to perform maintenance and diagnostics, firmware updates and customize shift paddle operation. Each SM-PCE1 Interface Device, includes a username, password and web address to download the E-Tube Project software specifically designed for the E-Tube Di2 system. System requirements: Windows XP 32 bit/64 bit (SP3 or later), Windows Vista 32 bit/64 bit or Windows 7 32 bit/64 bit, USB port (1.1 or 2.0), active internet connection.